Calcium and phosphorus are essential for healthy teeth, but they’d be nothing without vitamin D. This mighty mineral helps with absorption and allows your body to strengthen and protect enamel, which can prevent tooth decay and cavities. Getting your daily dose of vitamin D from the sun should be done safely. How long in the sun to get vitamin D? Depending on your skin’s pigmentation, a few exposed minutes in midday sun can provide enough vitamin D for the day. And yes, you can absorb vitamin D through UVB light with or without the use of sunscreen. However, the dangers of sun exposure are real. Is sun exposure without SPF dangerous? Prolonged periods of time spent in the sun without sunscreen is dangerous, which is why you only need a very short amount of time in the sun, if any, to get vitamin D. Make sure to seek shade when available and always wear sunscreen. SPF is important everywhere, including on your hands and face. The skin on your face and around your eyes is thin, making it more susceptible to UV damage. Wear polarized sunglasses with UV400 protection to keep your eyes safe as well. Are there other ways to get vitamin D without sun exposure? Yes, in fact, most people get vitamin D from other sources throughout the year. Vitamin D can be found naturally in foods like fatty fish and egg yolks, but it’s more common in fortified foods such as milk and cereal. Eating a balanced diet rich in vitamin D can help regulate your daily intake—especially if you’re throwing shade to the sun. 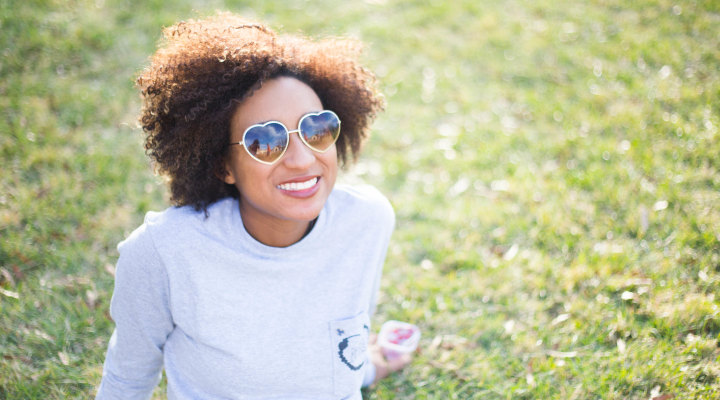 The key to getting your vitamin D outside is to get sun-kissed—not scorched.